Juno how to adjust a broken Jupiter probe's orbit? 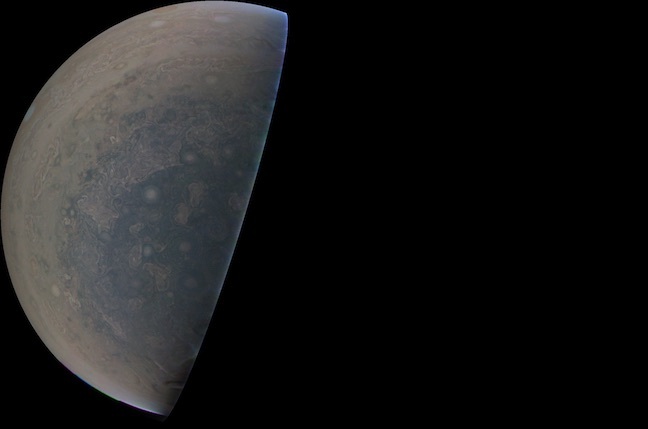 Jupiter's South pole. Image credit: NASA/JPL-Caltech/SwRI/MSSS. Supercolossal version here at NASA. NASA's revealed that its Juno probe has made another close pass around Jupiter, but sadly remains in a longer-than-planned orbit that means it spends more time a long way away from the gas giant. On February 2nd the probe sailed just 4,300 kilometres (2,670 miles) over the gas giant's cloud tops, capturing lots of lovely images that are now downloading and will in due course appear here. 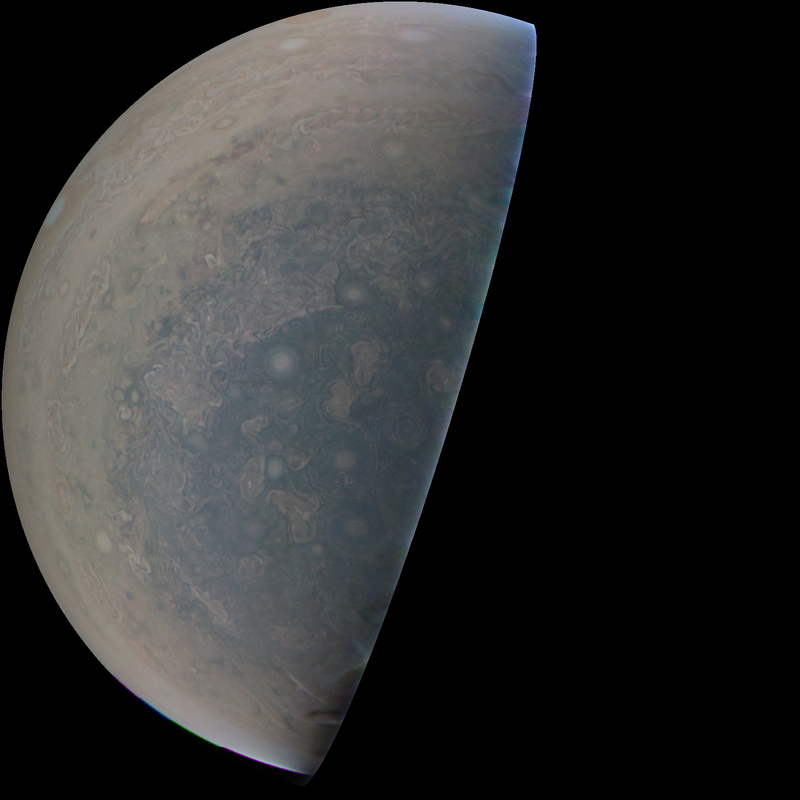 Juno's mission plan called for it to settle into a 14-day orbit. But this orbit required 53 days because of engine trouble that has seen NASA postpone burns needed to settle it into a closer-to-Jupiter orbit. The probe's also had software problems .